The real secret to the perfect cheese steak is a large cooking space. There isn't enough room in a pan, so try heating up a large griddle on your grill. 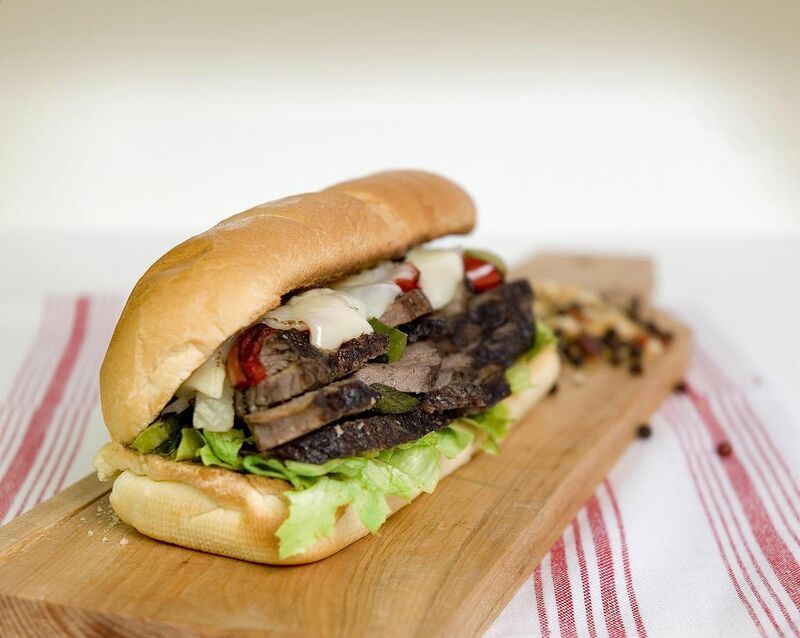 By putting bell peppers and onions directly over the fire for a minute or two you can add a fantastic grilled flavor to your cheese steak sandwich. Preheat your grill and place your griddle on the cooking grate. If you still have some room for direct grilling, lightly brush onions and peppers and place over direct heat for about one minute before moving to the griddle. Otherwise, pour 1 tablespoon/15 mL of the oil on the griddle. Add onions and peppers. Cook until browned and soft. Move aside and pour on another tablespoon of oil. Add beef. Toss shredded beef on the hot griddle until it is cooked through and completely browned. Pile into four mounds. Top with onions and peppers. Season with salt and pepper and top with cheese slices. When the cheese starts to melt scoop up the mound with a large spatula and slide it into a roll. Serve with sweet peppers and lots of napkins. Note: Peppers are always optional with this sandwich. You can add them if you want.